The reversible RAC. IV SwitchTips are the most widely used tip for spraying a variety of coatings from lacquers to exterior paints. Use the Reverse-A-Clean (RAC.) feature to quickly clear tip clogs by simply twisting the tip and spraying in the reverse position. With a high performance tip you'll achieve a professional quality finish. Whether you're a hobbyist, fixer-upper, or absolute beginner, Graco's DIY Series sprayers deliver amazing results. You'll complete your project in half the time it would take using brushes and rollers. This sprayer has the capacity to handle most of your indoor and outdoor home improvement projects like ceilings, sheds, decks or fences. Revolutionize your workday with the Graco Pro Series sprayers. Property maintenance pros, remodelers or general contractors work smarter and faster with the ProX17. The ProXChange Pump Replacement System allows you to replace the pump on the job with no tools, eliminating downtime and keeping you spraying. The Graco Project Series sprayers make it easy for avid DIY homeowners and handymen to power through small to midsize jobs with speed and finesse. DIY homeowners and handymen are equipped to save time and money with the Magnum X7. Tackle any indoor project, exterior homes, fences or decks. 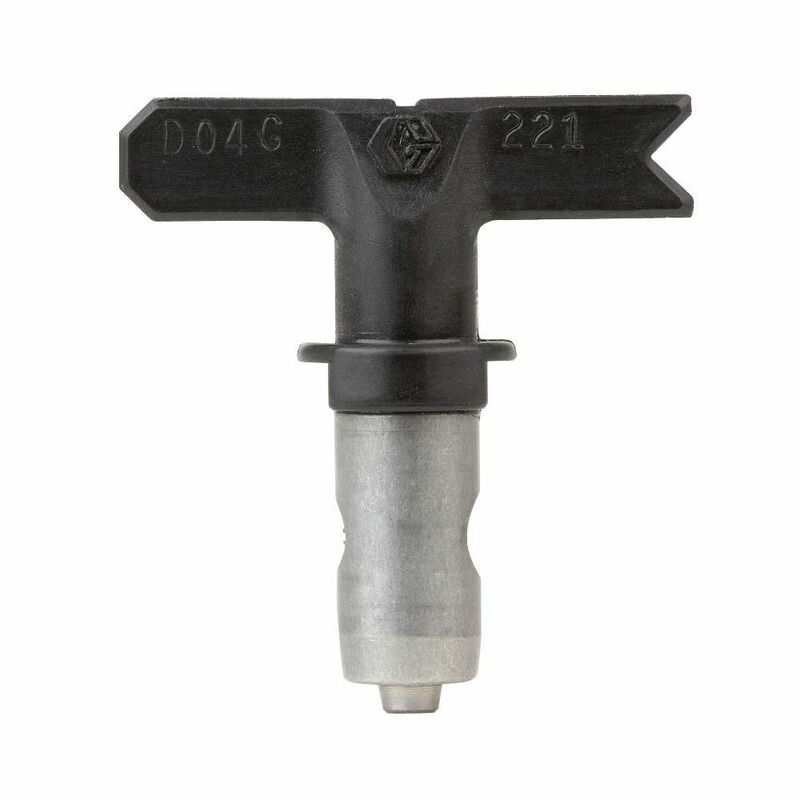 RAC IV 211 Spray Tip The reversible RAC. IV SwitchTips are the most widely used tip for spraying a variety of coatings from lacquers to exterior paints. Use the Reverse-A-Clean (RAC.) feature to quickly clear tip clogs by simply twisting the tip and spraying in the reverse position. With a high performance tip you'll achieve a professional quality finish.